The Dying Detective was awarded both the Swedish Academy of Crime Writers’ Award for Best Crime Novel of 2010 and The Glass Key for Best Scandinavian Crime Novel of 2010, and gladly so for those of us who enjoy Scandi-crime, as taking out such gongs is a sure-fire road to English translation. Touted by author Leif G.W. Persson as a standalone novel, it is in fact the fourth in a series to feature now-retired Chief of the National Crime Police and Swedish Security Service, Lars Martin Johansson. We meet Johansson as he suffers a stroke outside the best hotdog kiosk in Sweden, indicative of the excess he has long enjoyed. 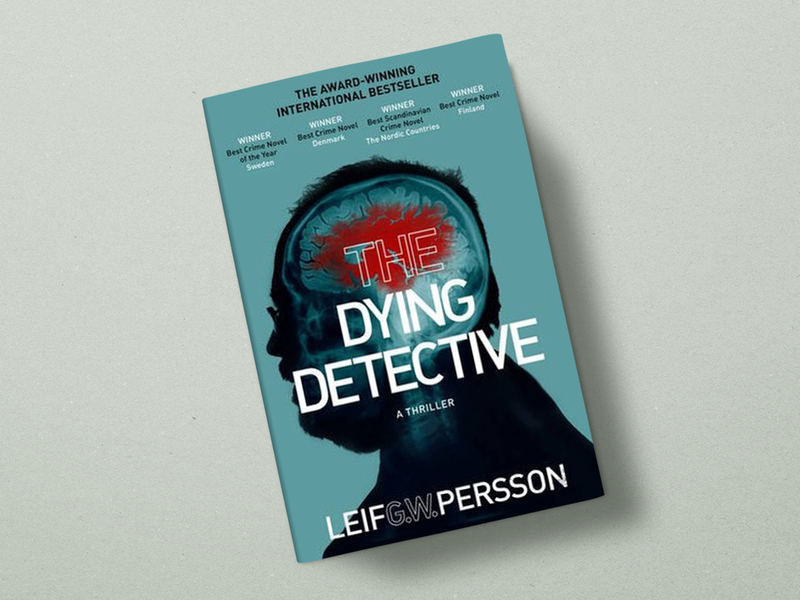 As Johansson struggles to guide a once formidable brain back to health from his hospital bed, a chance encounter with a neurologist triggers an obsessive interest in a 25-year-old unsolved murder. Paralysis and limited cognitive function are no match for Johansson’s detective instincts as he schools us in good old-fashioned police work. Ably assisted by best friend and retired-colleague Bo Jarnebring, gorgeous wife Pia, tattooed and pierced home-help nurse Tilda and the Russian Max, Johansson soon solves in a matter of weeks what a team of homicide detectives could not solve 25-years earlier. Yet a strange quirk in Swedish law sees the statute of limitations expire just weeks prior to his knowledge of the case, leaving Johansson and anyone who learns what he has uncovered in an ethical quandary. Just what do you do to a man who has raped and murdered a young girl when the criminal justice system has no remedy to offer? While the subject matter is indeed dark, Persson brings just the right touch of humour to Johansson’s character, leaving us with a thoroughly entertaining read while our hero solves the mystery from his sofa. Johansson self-styles himself as Mycroft Holmes in this mystery, an apt comparison in a novel that feels like it has drawn strongly on the tradition of Arthur Conan Doyle (and indeed Christie’s final Poirot hurrah). Sadly enough for those of us meeting Johansson for the first time, the nod to Conan Doyle’s The Adventure of the Dying Detective is in name only, with our hero not escaping his fate in the same manner that Sherlock Holmes manages through a clever deceit. There is also a touch of Maj Sjöwall and Per Wahlöö in this story, both in the collection of friends and colleagues Johansson has collected over time, and in the way one can read into the Swedish socio-political layout through the story. What I enjoyed most in The Dying Detective were the small moments of vulnerability where Johansson’s neurons misfired in the way an injured brain will, making unusual connections (e.g. likening his neurologist to the squirrels he hunted as a child) and challenging his recall. In many ways it felt like these misfirings were just as mysterious as the natural instincts that had him known as the ‘man who could see around corners’, drawing our attention to the importance of what Poirot would call his ‘little grey cells’ in making a great detective. A very enjoyable read, and a satisfying end to a complex mystery.